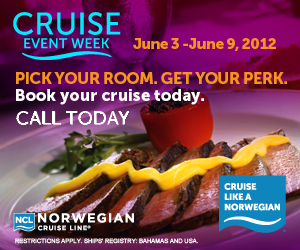 The Cruise Event Week starts today, and it couldn't be easier! Simply pick your cabin category. and get automatic perks and a 50% reduced deposit on any sailing 5 days or longer. The better the cabin, the more you get in return. Check after the break and see the full list! 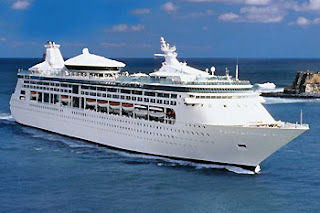 As of today, Royal Caribbean's Grandeur of the Seas is back on the open water after a lengthy refurbishment, and ready to wow guests with new features. She'll be covering Bermuda, the Caribbean, and the Bahamas from a new home port of Baltimore.